ALPHA, an old hero back in action! Tomorrow a very impressive comic book, in my opinion, is released from Marvel! Is the ALPHA (2013) # 1! 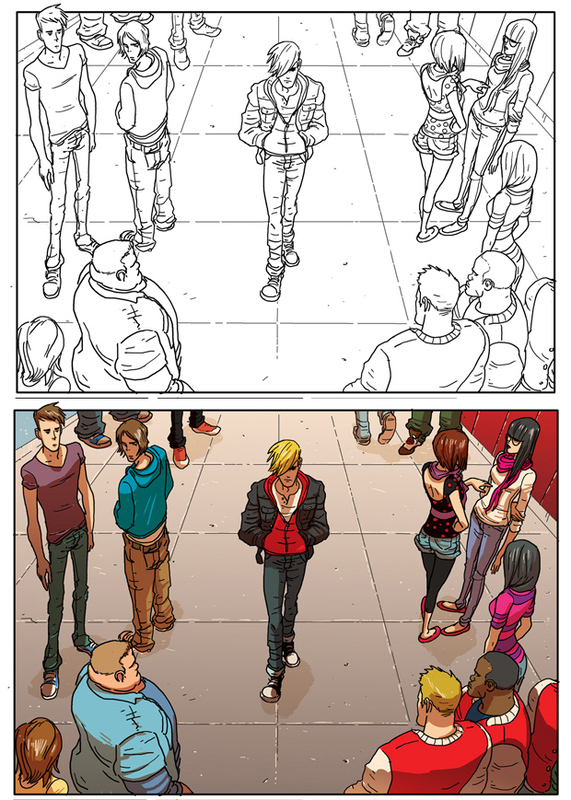 The professional freelancer illustrator, great comic guy, character designer and storyboard artist, who worked with EA games, Axis Animation, Cosmopolitan, Elle magazine and of course with the Marvel comics, did the ENTIRE art work of the new ALPHA story. He is the well-known Nuno Plati! The dude is represented by Lemonade Illustration Agency in London and lives in Lisbon! How is down there in the Mediterranean heat mate? The other guy, Josh Fialkov, an excellent writer with several winning Harvey Awards, is the man of the words! The 33-year-old American, who lives in California, is known for his work in Echoes (Top Cow – 2010), Elk’s Run (Villard – 2007), I, Vampire (DC Comics – September 2011-April 2013), and in the film 2008 Infected. 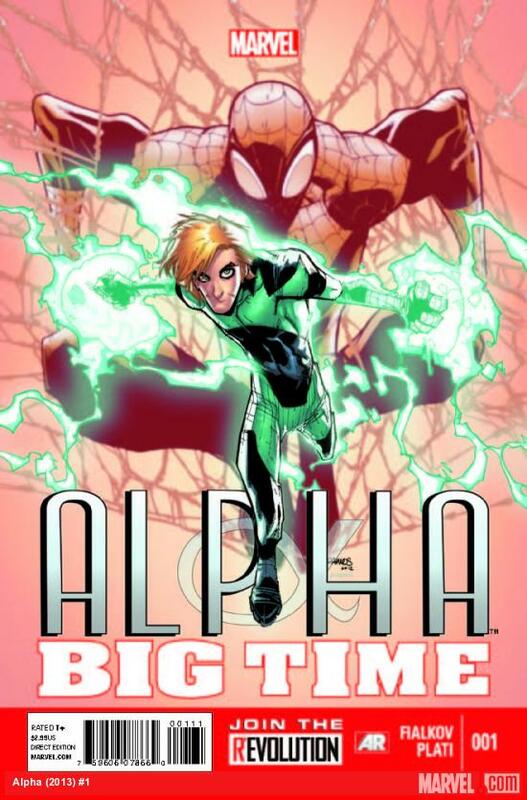 ALPHA had appeared in issue #692 of AMAZING SPIDER-MAN, which was illustrated by Plati himself. “Alpha was having an awesome time of it, till that buzz-kill Spider-Man made him quit being a hero” Marvel notes on presentation of the comic! The Andy Maguire (called ALPHA), was appeared for the first time as a student in Midtown high, the same school Peter Parker attended, but unlike Parker, Andy was a bad student, and nobody cares about him; not even his parents! 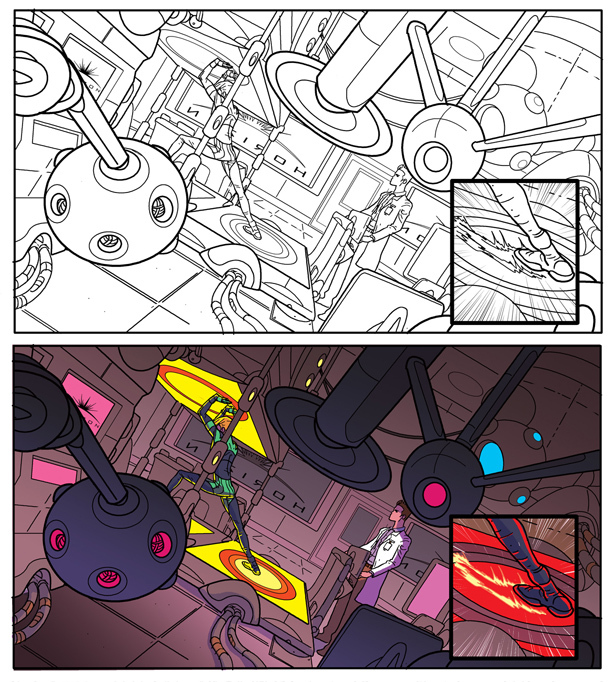 Then, a helter-skelter in the school chemistry lab, and after saving a girl named Chrissy Andy was hit by strange energy that instead of being fatally injured, he miraculously survived and gained the ability to create a hyper-kinetic form of energy tied to the forces of the universe. Sounds really awesome! Thus the two great artists have joined forces to bring the ALPHA in life, and to bring him this time …here to stay! The Zeppelin flight LZ 127 from Rome was scheduled to take place on 29th and 30th May 1933. This was considered to be a very significant event. For that reason special sets of postage stamps were issued which were exclusively used for that flight only. 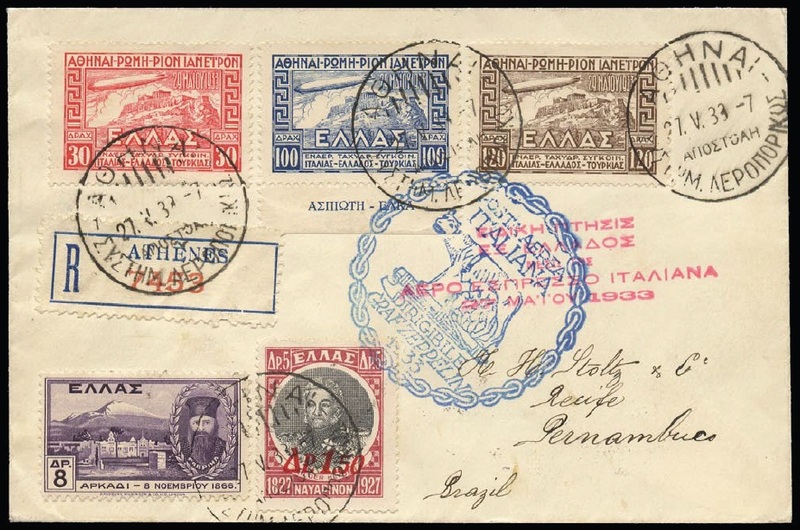 The stamps were not only issued by Italy and San Marino but also by the Italian colonies and even Greece. 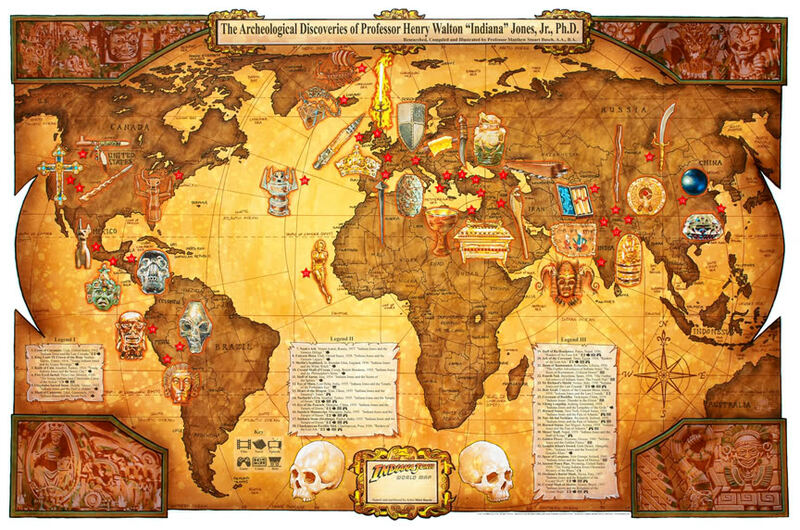 A special set was issued by the Vatican but it used the Italian set in combination with its own postage stamps. 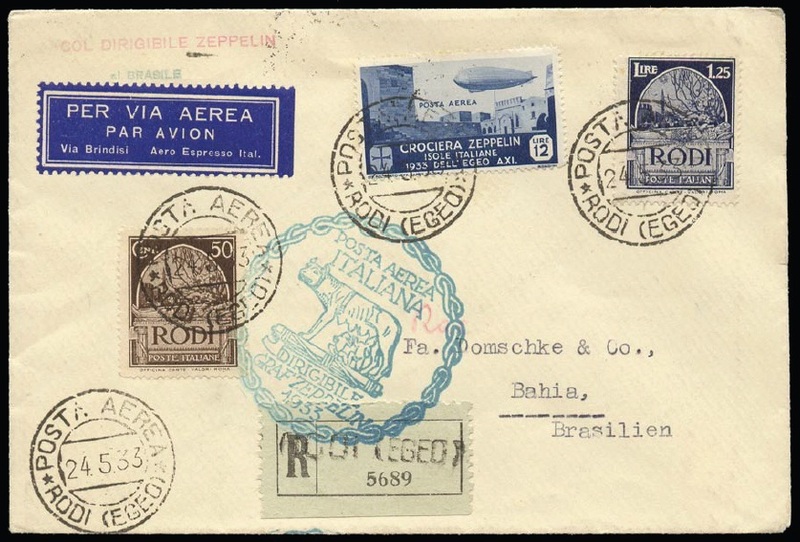 Both letters and cards were sent to Rome from different parts, by regular airmail, so that they could be received by the Zeppelin which would, in turn, forward and deliver them to various different destinations such as Germany and other European countries as well as North and South America. 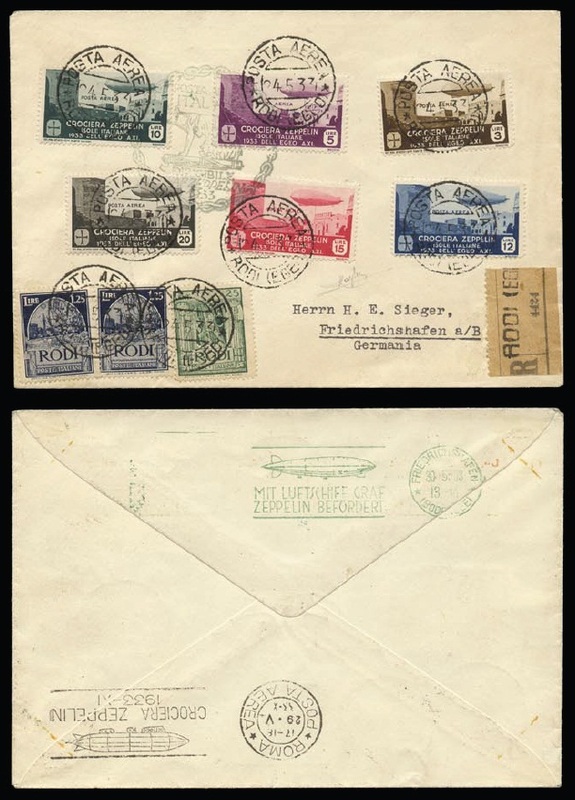 Generally speaking, as the bulk of the correspondence carried on that flight was absolutely huge, one may notice a host of remarkable cases of philatelic interest. 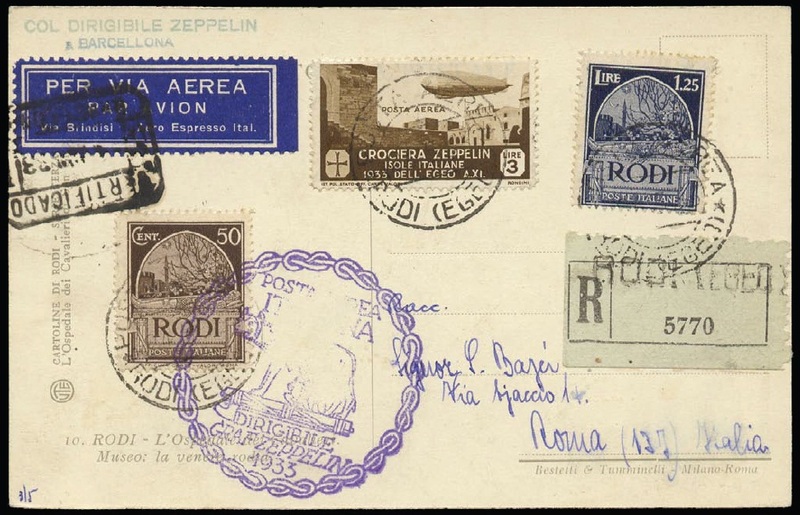 Officials in Rome did not seem to have the time required to stamp all the correspondence until the departure date (29th May) of the Zeppelin. It was for this reason that a certain part of it received a 30th May-date stamp and was sent to Friedrichshafen by rail. 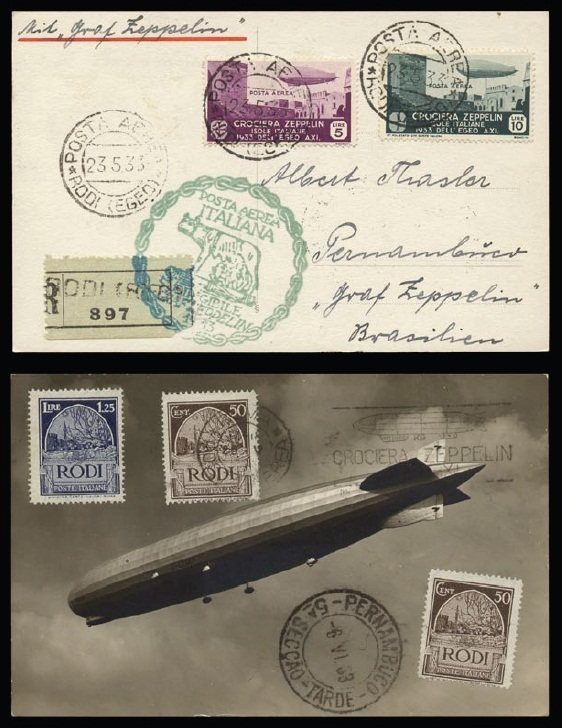 There again, after the arrival of the Zeppelin, and having been through the loading / unloading cargo procedure for its next destinations, the mail bags heading for South America were not opened so the correspondence did not receive an arrival date stamp. However, the bags containing correspondence for Europe were opened and stamped with the green arrival date stamp of Friedrichshafen. 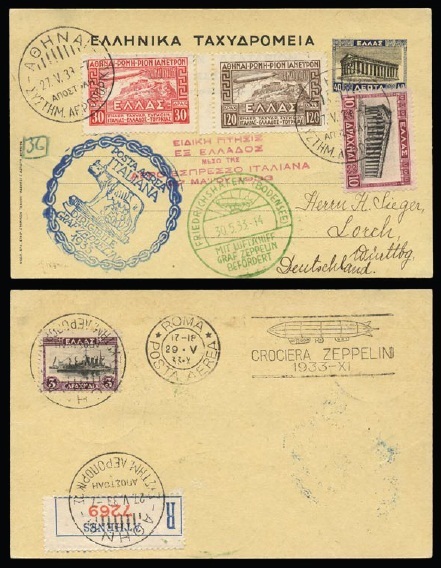 The bags whose destination was North America received, apart from the above mentioned date stamp, the commemorative three-line green stamp of the second Zeppelin flight of 1933. 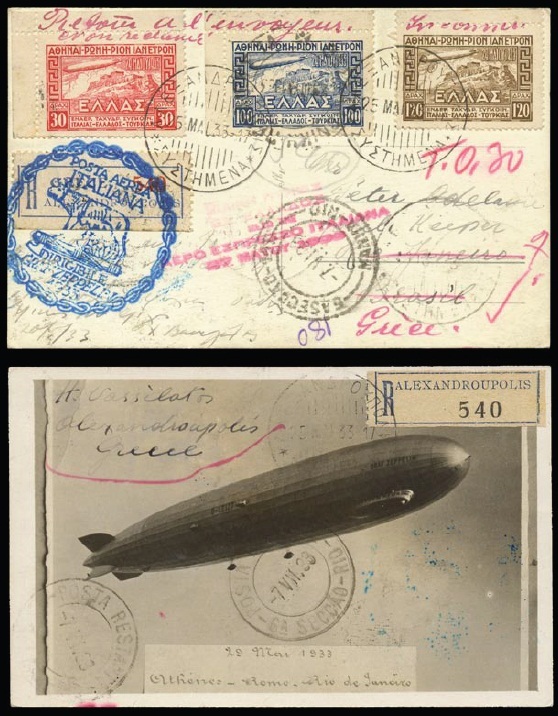 At the same time, it appears that there are cards and covers that received all postmarks of that flight without even flying with it at all! This is the part of the correspondence which was transported on 30th May from Rome to Friedrichshafen by rail and whose destination was other European countries. and were sent to their destination by ground means of transport. From Greece, there were cards and letters sent from Athens, Alexandroupoli, Patras and Iraklio. The Italians used special commemorative cancellation stamp depicting the Capitoline Wolf of Rome in different colors blue, blue-violet, marine blue, blue-grey, green and black. There were 1,170 cards and letters carried on that Zeppelin flight. 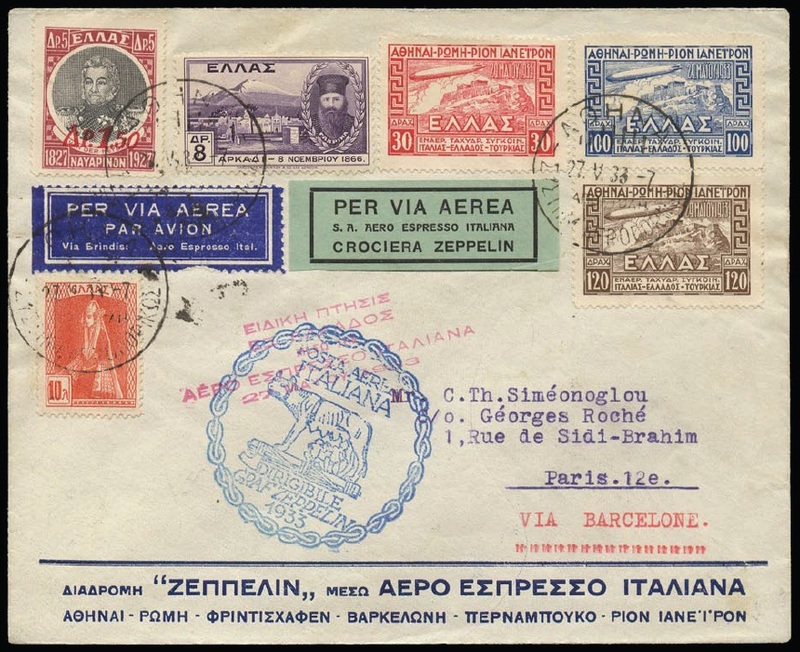 From all the countries that took part in that flight, it was only in Greece that fake covers were made (original postage stamps with fake cancellation stamps). 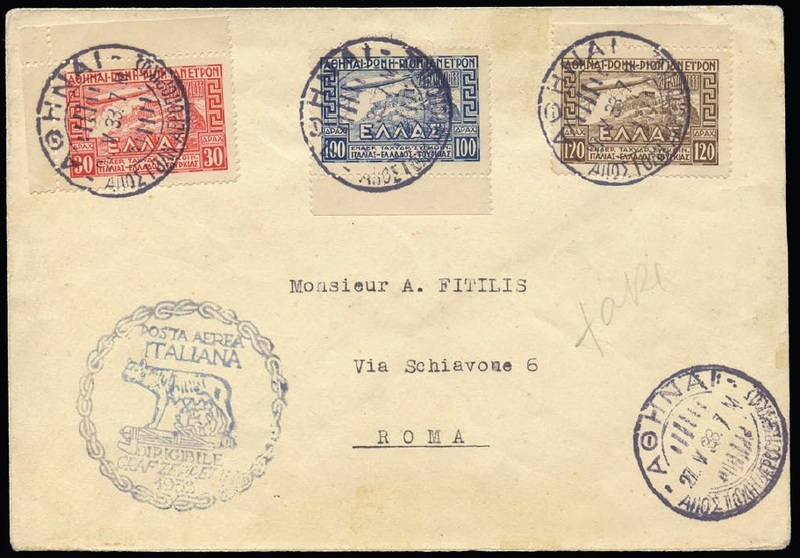 However, apart from the set issued by the Greek Post, the Italian Post of the occupied Dodecanese, at that time, circulated a six value set with the following denominations: 3, 5, 10, 12, 15, 20L. There also registered envelopes, very rare indeed, with the full set on them. 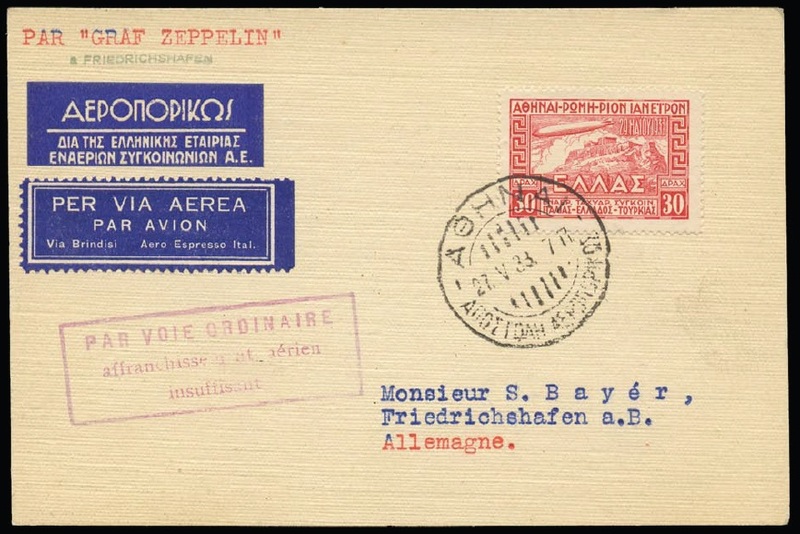 1 – Registered card from Athens to Germany. 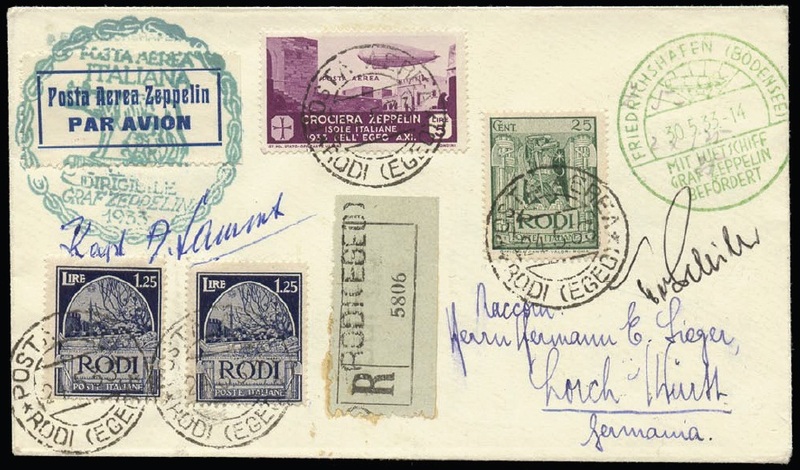 The commemorative arrival postmark, Rome 29/05/33, can be seen at the back.